Don’t let your need for protection from flames stop you from enjoying comfort and flexibility. This Ariat Work FR AC Moisture Wicking 10019007 Men's Navy Shirt from Working Person's Store is one of a kind. It’s flame-resistant, soft, lightweight, professional, ... (see full details) (see specifications) #10019007. Don’t let your need for protection from flames stop you from enjoying comfort and flexibility. This Ariat Work FR AC Moisture Wicking 10019007 Men's Navy Shirt from Working Person's Store is one of a kind. It’s flame-resistant, soft, lightweight, professional, and functional, and it's made to keep you cool and dry. For starters, this men's navy blue shirt is flame-resistant. 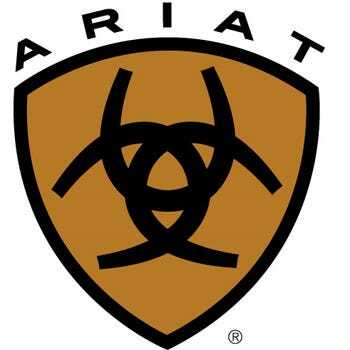 It's been independently tested to see how it performs against flames, and because it passed testing, the Ariat FR shirt meets the requirements for a number of safety standards, including The National Fire Protection Association's (NFPA) standards 70E and 2112. The standards 70E and 2112 must be met for those who work in industries where the potential for electric arc flash and flash fire is present. The shirt also has an Arc Thermal Performance Value (ATPV) value of 8.9. The rating specifies the level of protection the men's flame-resistant shirt can provide from flames. And because of the ATPV rating, this Ariat FR workwear falls into Cat 2. The Cat 2 rating correlates with the ATPV rating because all Cat 2-rated articles of clothing are required to have an ATPV rating higher than 8. Aside from flame resistance, this men's crew neck shirt is super comfortable. It's constructed entirely of cotton, which means you’ll enjoy lightweight softness and breathability long into each and every wear. The moisture-wicking work shirt also has long sleeves with ribbed cuffs and a rib-knit collar for a better fit and feel. And along the lines of comfort, this men's flame-resistant workwear is built with VentTEK technology and Moisture Movement Technology. The VentTEK Technology features body mapping, which enables air flow to regulate your body temperature. The Moisture Management Technology keeps you dry by wicking moisture away from your skin. Lastly, this is designed with Greater Arm Mobility seam construction, which enhances your range of motion due to a flexible, extended seam design. In addition to the comfort and moisture management, this men’s flame-resistant shirt is useful and professional. It's constructed with a chest pocket that features with Velcro closure. The Velcro pocket is great because it offers closure that you can count on without the hassle of a button or a zipper. Plus, this design comes in a sharp navy blue color you’ll be able to match with just about anything. What’s better than protection from flames? Protection from flames and arc flashes with what this Ariat Work FR AC Moisture Wicking 10019007 Men's Navy Shirt has to offer. Order it here at Working Person’s Store today. Ariat Work FR Shirts: FR AC Moisture Wicking 10019007 Men's Navy Shirt is being added to your cart.